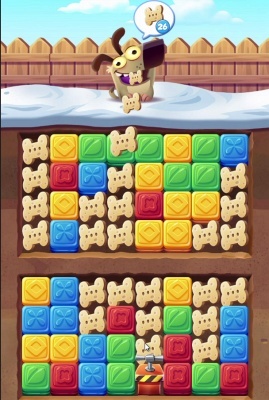 Cookie Cats Blast is a Free Android , Puzzle Strategy , Mobile Multiplayer Game where you have to protect cookies from the cookie thief . There's a new face in the neighborhood. Belle, Ziggy, Smokey and Rita have to protect their cookies from the cookie thief. New adventures await to be uncovered ! 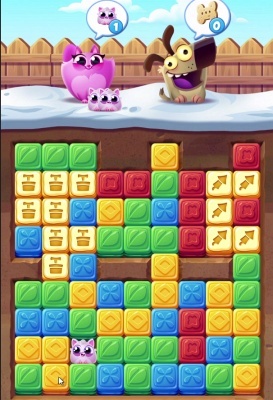 Be ready to blast away obstacles, gather cookies and save kittens in this paw-some FREE puzzle game . 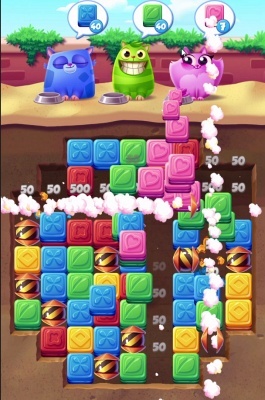 - Simple and addictive puzzle gameplay ! Tap cookies of the same color to collect them ! 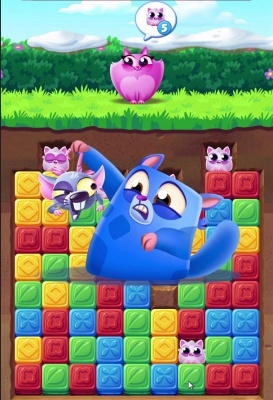 - Follow the cookie thief through the neighborhood in more than 4 different game modes and hundreds of challenging levels ! 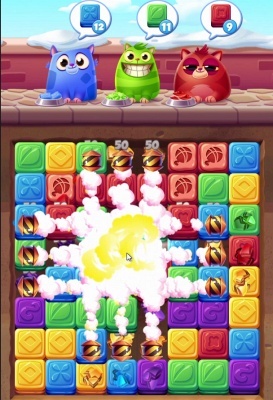 - Challenge your friends ! Can you beat your friends purrfect high score ?